My daughter-in-law is an avid fisher. One day, I watched her teaching her three-year-old how to find earthworms. She was about to show him the most exciting thing he had ever seen. But she wants to teach him to come to her without fanfare. So, in a normal tone of voice, she told my grandson to come to her. He always wonders what Mom has for him, regardless of what it appears to be and regardless of her tone when she calls. Outward appearances were unexciting that morning. Mom wanted him to look at dead leaves. What he found, though, was a thrill—several worms lived under that debris and squirmed to evade exposure. Mom picked up a worm and handed it to him. Although he did not enjoy touching it, I noticed a couple of times that day, he sidled over to that leafy area and scuffed his shoe through it, as Mom had done, and examined the ground. 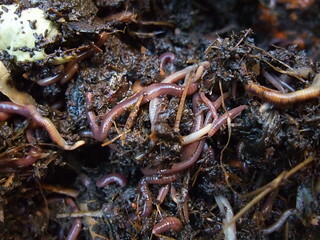 Worms are smart enough to set up housekeeping in some type of shelter. They are not too particular, but it must meet their food and water needs. Although they crawl out when they think conditions are safe, they spend most of their lives hidden. Their secluded world helps them thrive. Maybe we can learn from the worms. We set up our homes to help us thrive. We choose colors with care and arrange furnishings according to plans. Our curtains help us adjust the lighting, as do our lamps. The thermostat reflects not only our need for comfort, but also our beliefs about saving energy. We provide scented candles. We stock the pantry and closets. Then do we spend most of our lives elsewhere? After establishing the best environment for us, do we ship our children to a place that is not cozy? Do we drop them off where the ambience ranges from putrid to sterile to inane? Do we force them to forgo candlelight for the blaze of the fluorescent tube? And do they thrive? I mean, do they grow to be the best they could possibly be? I’ve heard this kind of thought before, but never put quite this way. I love how you are able to take so much from earthworms…no wonder your homeschooling was a success. I like the way your mind seems to work. Thanks for the inspiration. Ha! I started thinking…an underground sort of mind with tunnel vision? Ha! I like how you – and your daughter-in-law – are able to see all of life as teachable moments.